Whereas The Lion King was reviewed by myself based on the number of tracks actually recorded by Elton, this compilation needs to be viewed with speculation as to how this piece actually came about in the first place. We must ask the question, "Was this a sincere effort or an attempt by the record company to rake in more money?". Unfortunately, the answer is probably the latter. It wouldn't have been out of the question to release a "Greatest Hits Volume 4". He certainly had enough material to qualify and, in fact, the majority of these songs did come after his last greatest hits package that was released back in 1987. If they would have released a "volume 4", it would have held more water to the faithful. Instead we have older songs that appear on other compilations that reappear here again causing one to want to fast forward the CD player. On the other hand, these are all good songs. The older ones do, for the most part, stand up to the challenge of quality. One thing totally unforgivable, however, is the decision to include some of these older songs, not because they are love songs, but that they were soft "hits" and that's what brings in the bucks. Daniel and Someone Saved My Life Tonight are two examples of wonderful songs, but not, in the romantic sense, love songs. Then we must consider what is left off this compilation. Where, for example, is I Guess That's Why They Call It The Blues? One of his best love songs ever is nowhere to be found. Also, as any true Elton fan will tell you, he has masses of love songs from earlier albums that never made it as singles that would be a wonderful inclusion here. 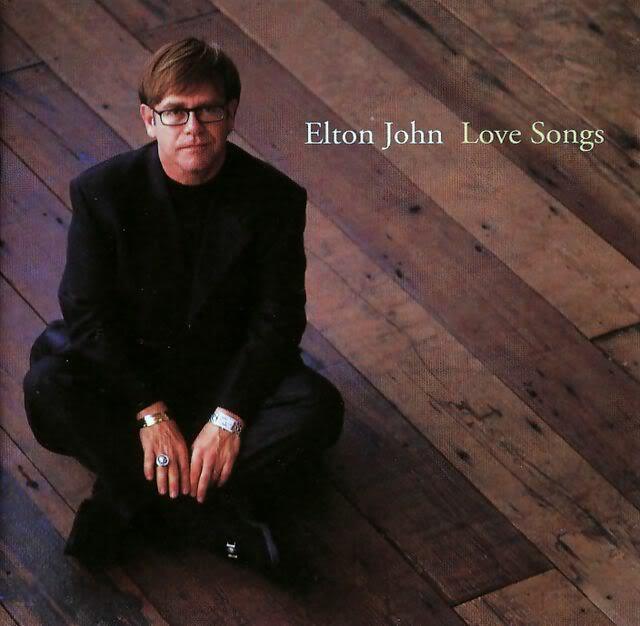 Consider Elton's Song from The Fox, A Woman's Needs from Duets or, the aptly titled Love Song from Tumbleweed Connection. A big sin indeed when all of these songs are ommitted. While were on the subject of gripes, couldn't we have had the originals of Candle in the Wind and Don't Let The Sun Go Down On Me rather than their inferior live counterparts? As with any compilation package lately, a couple of new songs are added to make the faithful consumer shell out money for something they already have. Fortunately, the two new songs You Can Make History Young Again and No Valentines are excellent in their own merits. Alas, a good idea that could have been brilliant ends up being a big disappointment.